Since the beginning of CGWire, most of the development we do is sponsored by CG studios. When a company wants to see some specific features in our software, they pay us to bring them on top of our roadmap. By doing this, they make the software progress faster in a way that suits to their workflow. It makes the project more sustainable and allows us to add only features that are really needed. This principle is part of the fundamentals of CGWire. That’s why, from now on, we would like to showcase the studios that help us in our mission! 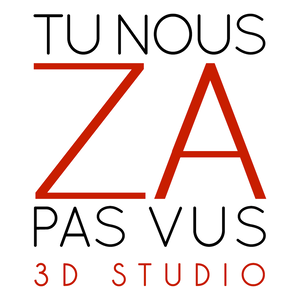 This month, Tu Nous Za Pas Vu studio, a team of 30 people in the south of France, ordered us several improvements. TNZPV is a studio led by former teachers of Supinfocom. In their portfolio you can see projects like Team Dronix, The World According To Amazon or White Fang. They use Blender as primary software. They use Kitsu to manage the tracking of assets for a Cartoon TV Show they work on as a contractor. Kitsu is there too for tracking short and feature films they produce themselves. So, today, we would like to share with you what you will see soon in Kitsu, our production tracker, thanks to them! To make task browsing faster, they would like to have a side panel displayed on asset and shot lists. It would show the main information of a task: last preview and comments. That way you won’t lose the context when opening a task and you will be able to switch quickly from a task to another. When you do a production, it happens that you need to add extra information to your assets or shots. It’s not about the brief, you simply need to add an attribute to it, for example you want to separate indoor or outdoor environment. In other words, we are going to add the capability to add metadata to shot and assets on a per production basis. To conclude, we would like to send a big thank you to TNZPV for funding theses new features! Thanks to them, enhanced filtering, Side panel and Custom columns will soon be availble in Kitsu. We had the opportunity to visit them in Arles and see how they work. We are proud to help them for their productions! Who sponsored CGWire so far? Unit Image, Les Fées Spéciales, Karlab and Cube Creative already ordered features to make Kitsu a better software. In 2019, we are going to talk more about how they help us to progress. It’s important to us that you understand better the context we evolve in. Transparency matters to us, we’ll keep informing you about how we work. This blog is dedicated to CG Production Management and CG Pipeline. We propose a Slack channel where you can discuss about your own problems/solutions and learn from others. We are already 160 to share tips and ideas. Join us, TDs and Production Managers from all over the world will be super happy to welcome you!